Apparently the Negroni came into being in Florence in the 1920’s when the nobleman Count Cammillo Negroni asked a local establishment to prepare an Americano asking him to substitute gin for club soda. Lucca Picchi, head bartender at Caffe Rivoire in Florence wrote a book about the colorful Count in 2008, available in Italian: Sulle Tracce del Conte: La Vera Storia del Cocktail Negroni (On the Trails of the Count: The True Story of the Negroni Cocktail). The Negroni has developed a cult following in America, with bars and restaurants actually hosting Negroni events. Naturally, Mio Marito has made it his mission to sample test whenever possible; findings ranged in quality from disappointing to noteworthy. His quest has led to the development of the most extraordinary Negroni, sheer perfection. What make his Negroni stand in a class of it’s own you ask? It is all a question of ingredients beginning with his choice of vermouth: Carpano Antica Formula developed in Turin in 1786. 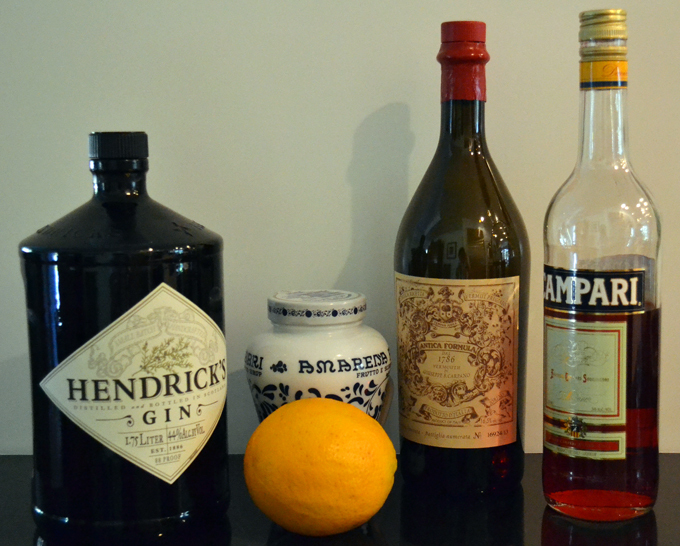 The rich herbaceous aroma of Carpano brings a deep and mysterious element to the Negroni. The second key element is the addition Amarena Fabbri Cherries as a garnish along with a bit of the syrup to round out the flavors of the cocktail. The Fabbri Family has prepared the cherries using an original recipe since 1905 using the finest dark, somewhat bitter cherries grown in the Bologna & Modena areas. I am certain that you will agree, this is il Negroni perfetto! Have two on the rocks glasses ready with ice. 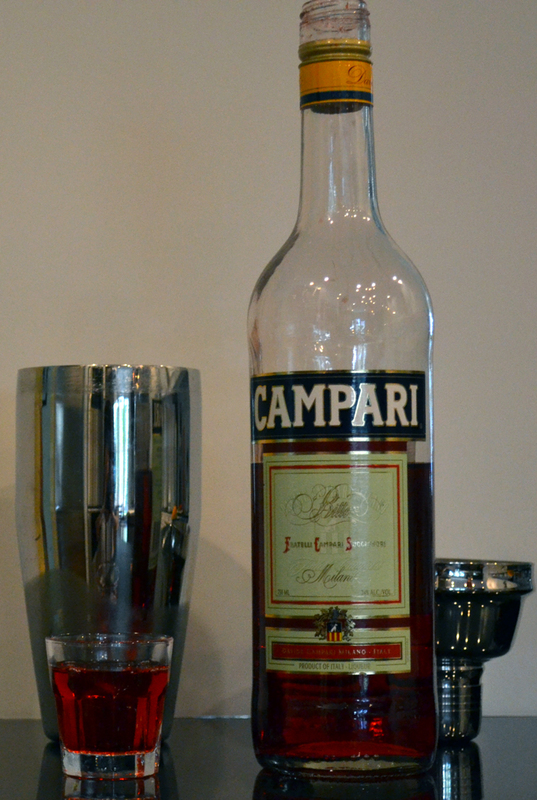 Combine the Campari, Carpano, Hendricks and syrup together in a cocktail shaker or mixing glass filled with ice. Shake or stir, strain into the prepared glasses, garnish with the cherries and orange peel. Serve and savor. Steve, I generally order the Fabbri Amarena from Amazon as well, this seems to be easiest. This is fabulous! The blog looks great and I love the pouring “action shot”! Katie, the next time you are in Northern California he will be delighted to make you one.